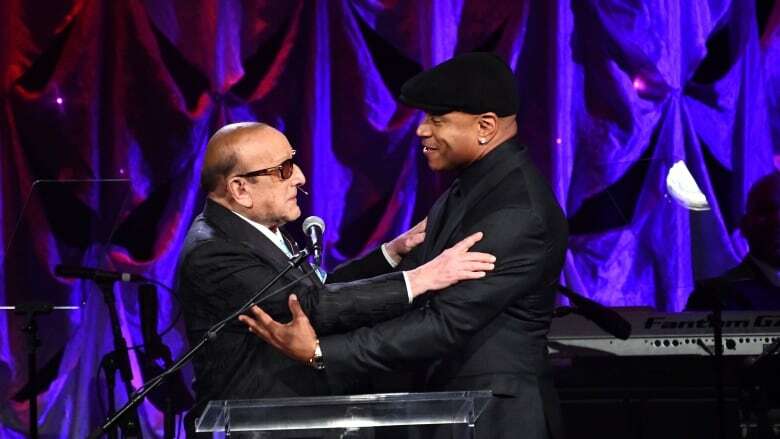 The audience at Clive Davis's white-hot gala included a few legends, such as Canadian singer-songwriter Joni Mitchell and Barbra Streisand, who watched as R&B singer Jazmine Sullivan performed in a tribute to the late Aretha Franklin. 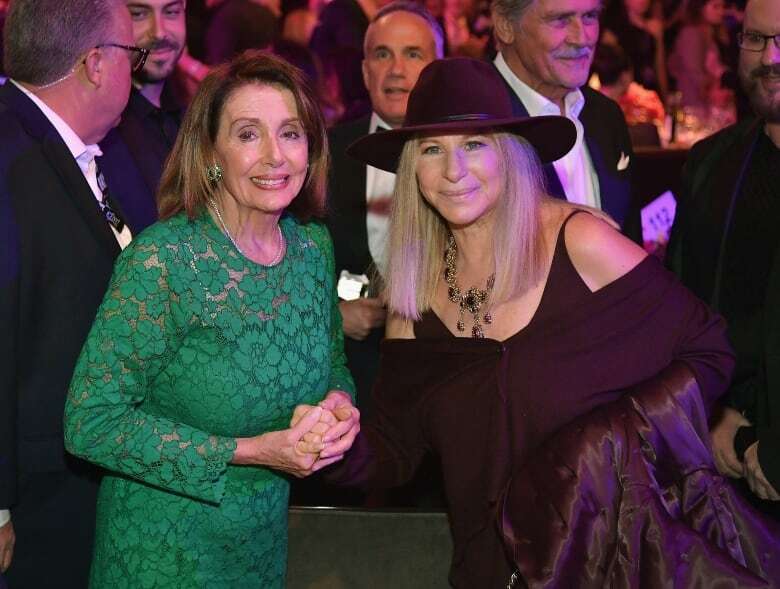 Pelosi received the rock-star treatment on Saturday night from attendees at the annual event, which also featured a stunning tribute to the late Aretha Franklin, an artist Davis worked closely with for decades. Pelosi's sarcastic handclap and smirk to U.S. President Donald Trump at his State of the Union address last week went viral, launching hundreds of memes. So when Davis announced that the political heavyweight was in the audience — Pelosi has attended the event in the past — she received a standing ovation, while some people even imitated her now-famous handclap. Both before the event and as she tried to exit, people asked to take selfies with her, almost creating a line as Pelosi smiled through them all. A wide range of celebrities attended event at the Beverly Hilton Hotel, including Apple's Tim Cook, Netflix's Ted Sarandos, recent Super Bowl champ Julian Edelman, Wolfgang Puck, Earth, Wind & Fire, Dionne Warwick, Kathy Griffin, Weird Al Yankovic, Calvin Klein, Angela Bassett, Berry Gordy, Fred Armisen, George Clinton and Darren Criss. The night closed with a rousing tribute to Franklin, who died in August. 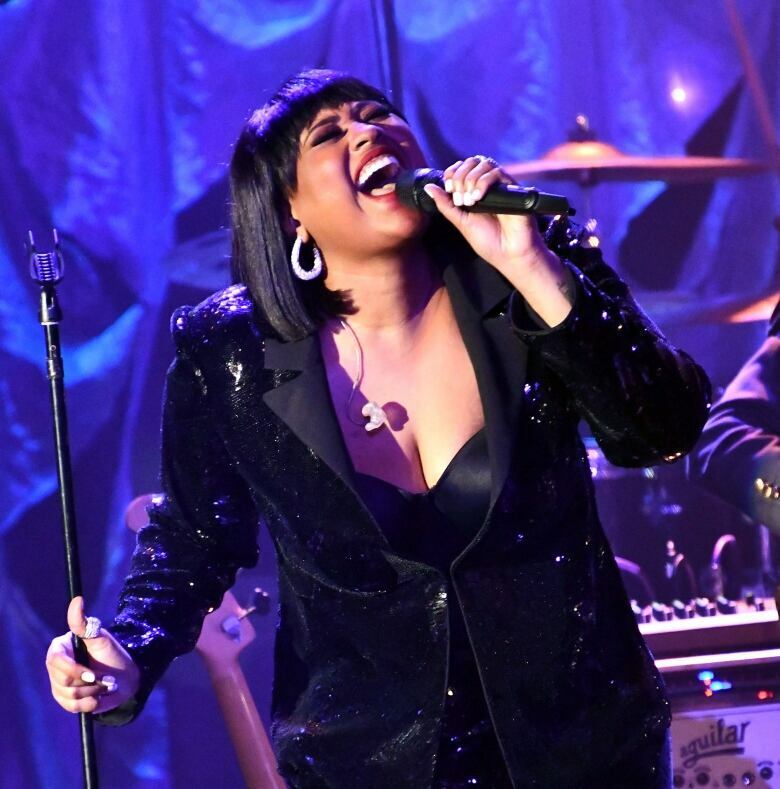 R&B singer-songwriter Jazmine Sullivan stunned with her renditions of Call Me and I Knew You Were Waiting. She was then joined by Rob Thomas, who held his own onstage. Soul singer Ledisi, a powerhouse vocalist, also shined while sister duo Chloe x Halle, nominated for two Grammys, brought the house down when they performed Sisters Are Doin' It for Themselves. Rapper Travis Scott, nominated for three Grammys, kicked off the night with the hit Goosebumps. Before performing Sickomode, which reached No.1 on Billboard's Hot 100 chart last year, he told the audience: "I only came to rage." The Time made a surprise appearance, bringing the audience to its feet with a fun performance. The group, along with Quincy Jones, honoured Clarence Avant, the 87-year-old music executive known as the "godfather of black music." H.E.R., nominated for five Grammys, including album of the year, earned a standing ovation for her spectacular vocals and skilled guitar-playing. Other performers included Brandi Carlile, Florida Georgia Line with Bebe Rexha, and Keala Settle, who sang This Is Me from The Greatest Showman. Davis's event was also attended by James Brolin, Beck, Joe Walsh, Alice Cooper, A$AP Rocky, Diane Warren, LL Cool J, David Foster, Miguel, Chick Corea, Maren Morris, Rae Sremmurd, Ryan Tedder, Max Martin, Courtney B. Vance, L.A. Reid, Dua Lipa, Ciara and Russell Wilson. The 61st annual Grammy Awards will be broadcast live on Sunday, Feb. 10 at 8 p.m. ET. CBC News will be on the red carpet for the event.